Your free ticket is here! 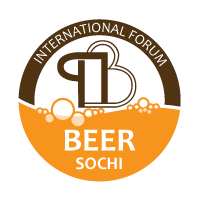 Welcome to XХVI INTERNATIONAL FORUM «BEER - 2017» May 16-19, 2017!! 19.04.2017 See you in Sochi! Beviale Moscow is opening soon!!! 27.02.2017 See you in Moscow! Welcome to our stand 7-229! 27.10.2016 Dear friends! Please apply for 1-day free tickets!! !